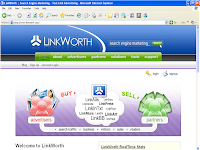 LinkWorth is a premier portal for search engine marketing. 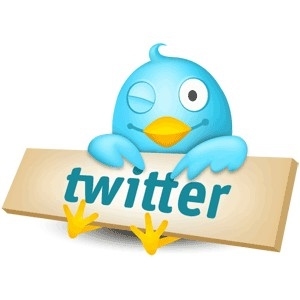 It has a myriad range of offerings for both advertisers and affiliates or partners alike. These are basically text-based advertisements which link directly to an advertiser’s targeted landing page. These are unobtrusive and you have the freedom to determine how many ads you want to host and where exactly. A LinkPost is a paid blog post written by a blogger within the Linkworth community. As you know, blogs have quite a phenomenal viral effect especially if they’re frequently updated with content which appeals to their readers. These are simply in-content pay-per-click ads which are embedded directly into an advertiser’s preferred keyword strings and look just like hyperlinks. Not anything irritating which may put off your readers! LinkInTxt refers to direct links to your advertiser’s target pages which are embedded within the existing content of your page using your advertiser’s preferred keywords. These provide a dual benefit for the advertisers by offering a highly relevant backlink to the advertiser’s site and the benefit of direct traffic from those who click the hyperlinked advertisement and are re-directed to the advertiser’s site. And did I mention that these are just the tip of the iceberg? There are many more products offered so you just have to check them out yourselves here. LinkWorth offers very high payouts when compared to others. If you help refer qualified customers to them, you can also get a cool $50 bonus from them. Of course, to qualify for the payout, your referral customer must reach a specified threshold (currently $100) before they can be considered an active affiliate. To put it succinctly, if you want to grow that wallet of yours, LinkWorth's worth a think and a link! Choose Your Prize - iPod Video Nano Or $100? Another fantastic contest is under way. Good to start the month on this note! Browie is sharing some of his proceeds from his Problogger win by holding this contest on his personal blog. All you need to do for 1 entry is to post a comment in his contest article. Get another 2 entries into the contest by blogging about his blog and contest with a link to his blog using the anchor text “Personal Blog” and one link to the contest article using whatever phrase you want. Then drop him an email to let him know that you've entered and you're all set. What's more, he is giving the winner the choice of either a 4GB iPod Video Nano or $100 via Paypal! Check out his contest article for full details! Contest ends 15th November 2007 and Browie will pick the winner on video. So what's stopping you? Latest updates: Browie has made some amendments to his contest. The iPod prize will only be available to entrants from US, Canada and UK. Other international entrants, though, will be able to win the $100 Paypal prize. P.S. Do check out his cute little bundle of joy, Isabelle while you're there!